This handsome guy is Casper and is the DDG January 2018 Dog of the Month. We couldn’t be happier to see this little guy as our first DOTM for 2018. Do dogs need to wear jackets, or are they just for show? Does a dog really need a winter jacket or could it be their owner just likes to play dress-up? We’ve heard this question a number of times so we decided to do some relevant searching on the idea that a dog “might” need a winter coat; here’s what we discovered. Look at this face… how can you not love it! 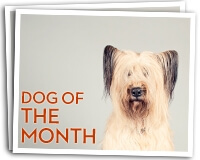 This is Bobert, the December 2017 #DDG Dog of the Month. He couldn’t be any more full of personality!